I am willing to bet that this is harder than it looks! 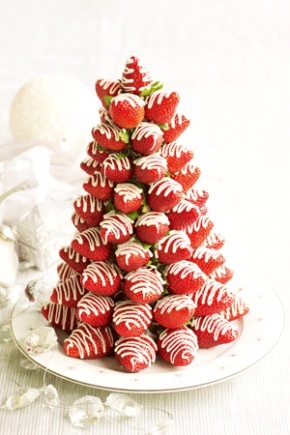 However, I must say it looks beautiful and I might have to try this for the family gathering, Christmas day. Anyone else willing to try? If so, please take pictures and send them to me. I’ll get them posted on here for you!! Check out the instructions on how to make this! Posted in CandyTagged chocolate, christmas tree, strawberryBookmark the permalink. I’m searching for a recipe for you challenge and came across this…didn’t see it before. Wow, how beautiful! Not sure I’m willing to tackle the project, but I can certainly appreciate the effort. Now that would be amazing to see someone do this project! I have yet to create it too, but thought it would be so nice for an event. My apologies if you cannot find this anymore on their website! Basically you take a styrofoam stand and place toothpicks in the strawberries and place in the styrofoam. Add chocolate.